I’m a planner…I plan absolutely everything out in my life to a T. Is there something wrong with lacing up your shoes and running wherever the wind takes you? Absolutely not! Just be cautious because you might not be accurately calculating your weekly mileage. Planning your runs out ahead of time gives you an extra bit of accountability which can help that “planned” 3 mile run from turning into a 1 mile run. For the safety conscious runners out there – this can always be given to your loved ones at home so they know exactly where you’ll be running and when to expect you back. Mapping out your runs is pretty easy and I wanted to share a few programs that can help you do it. You can download most of these programs onto your iPhone or Android phones and run with the map in hand if needed. Personally, I usually map my run our ahead of time on my laptop and run hands-free with just my Polar Heart Rate monitor and a bottle of water. Perhaps you’ve seen this pop up on Facebook as a friends status changes to “Suzzie Q has run 3 miles today with MapMyRun”…and then you feel really guilty and go run a swell? 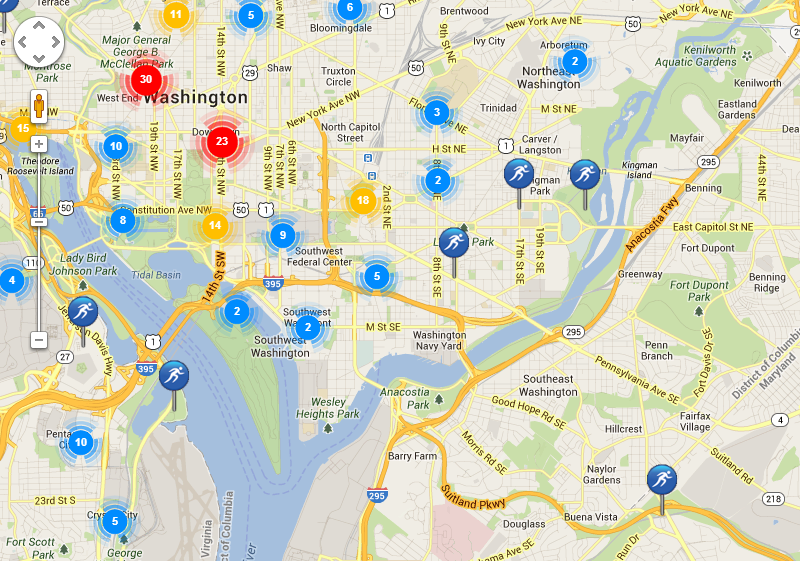 That’s MapMyRun! A free membership will let you map out runs, track your progress, and journal your nutrition and goals. After each run you get a summary of your average pace, total distance, the elevation climbed, and speed using Google Maps. After each run, your data is stored and uploaded onto http://www.MapMyRun.com and saved so that you can track your progress. 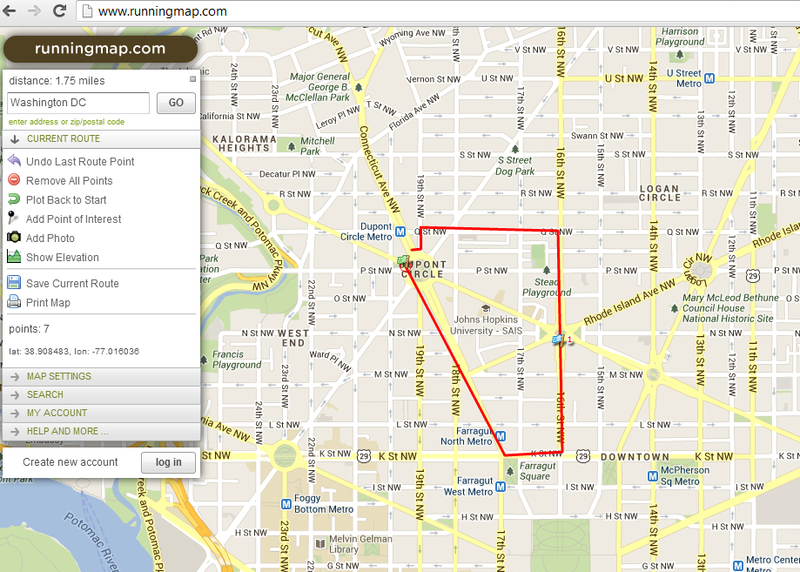 Since it runs off of GPS technology, it can also pin point other routes MapMyRun users around you have been using. I’ve even turned the GPS signal on my iPhone and let this baby go…just following me as I run and developing new routes as I go (see, sometimes I do run without tracking!). One con: the interface can be hard to use…particularly the map…and all of the clicking that is involved. 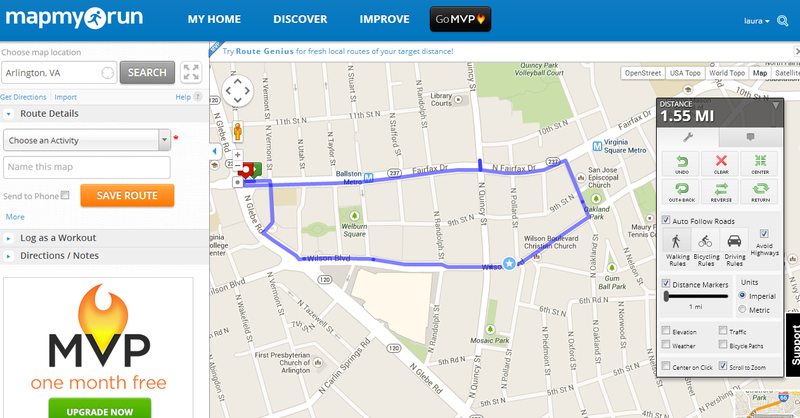 If you have the extra cash to spend, you might want to check our MapMyRun MVP. This is either $5.99/month OR $49.99 for a year with a free Bluetooth Smart Heart Rate Strap included. The MVP version gives you heart rate analysis, power analysis, cadence analysis, custom splits, mobile coaching, and interval training along with everything MapMyRun provides for free. Now for a beginner runner with a Polar monitor…I don’t really need it. But if you are training for something larger like a marathon, you might want to invest. This option is really taking you back to the basics and by basics I mean JUST a map. 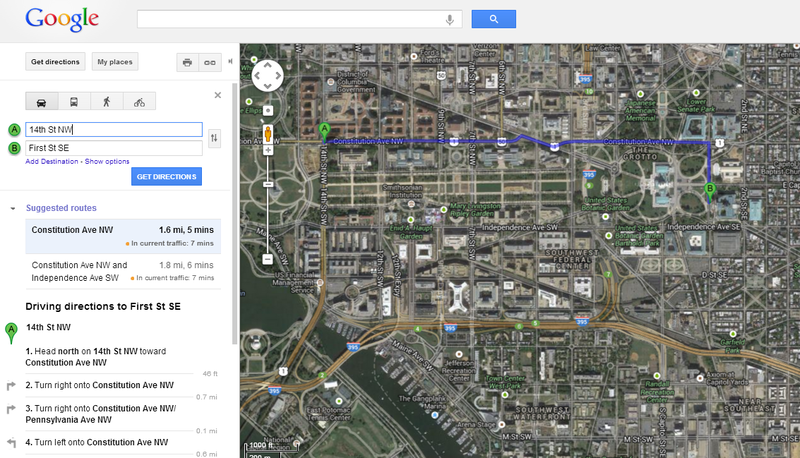 While not made for running, Google Maps serves the same purpose! Simply enter your starting and ending points and drag the map tool around to create a route you like. The upper left hand bar will let you know your distance and you can specify “walking” so that the map keeps you on sidewalks. It’s a little more basic than the other programs…but it works! Much like Google Maps, this is bare bones basics. Add your start pin and click along your desired route. The bar on the left hand side will calculate your distance, but that’s about it. Honestly, running maps is a lot easier to plan out with than Google Maps is. One of the coolest features on Run My Route is the ability to find other users routes and follow them. I also like the fact that you do not need to “sign up” in order to use their mapping tool. Run My Route works must like Google Maps where you simply click along to create your route. Now I am not saying one site is better than another…but I will tell you that I consistently use MapMyRun (and my husband uses GoogleMaps). General consensus: no site is perfect, all maps need a bit of patience, but mapping a run out ahead of time always helps. Like anything with running, you just need to figure out what works best for you.